A formidable blade against orcs, wraiths, and goblins, this medieval waster is well suited for light contact with other training swords. 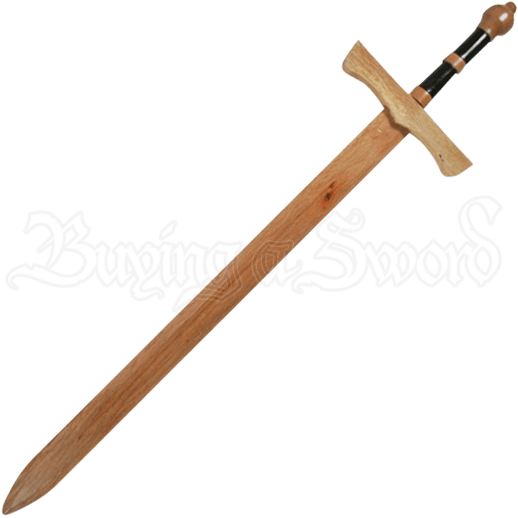 This Wooden Ranger Sword makes an impressive addition to any sparring kit or costume ensemble. The straight wooden blade displays a fuller that runs down the center of the blade until just before the tapered and blunted tip. The tapered guard features a decorative accent that points toward the blade. The two handed grip is assembled from two alternating colors of wood and is finished with a scent stopper pommel. 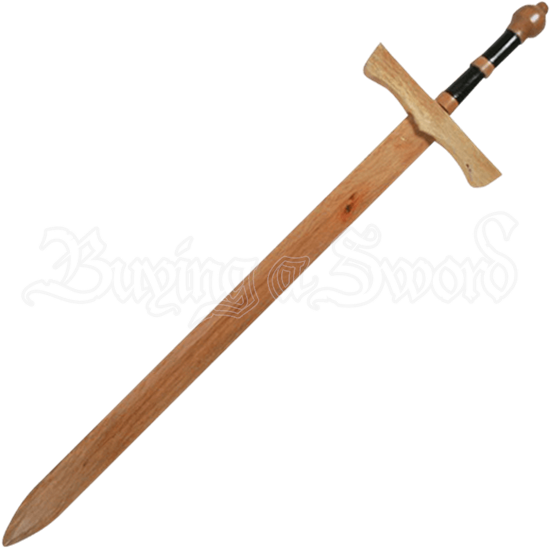 Perfect for cosplay outfits, combat training, and theatrical productions, the Wooden Ranger Sword is great for older children, teens, and adults.